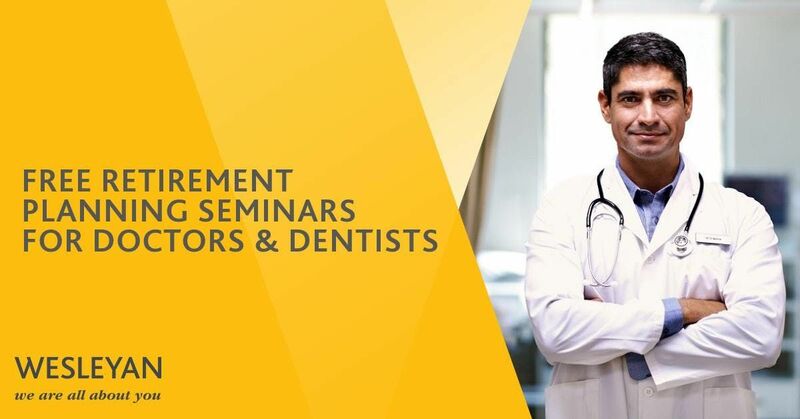 Doctors and Dentists: Your retirement could last as long your medical or dental career – so it’s vital to have a clear idea about some of the things you’d like to achieve in life after work. 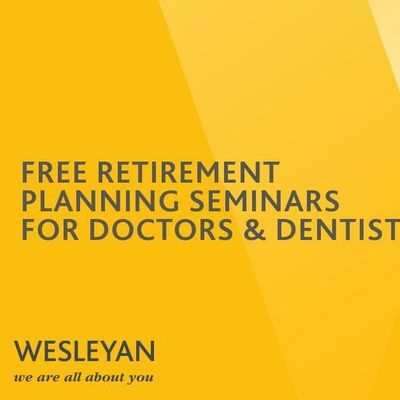 Attend our FREE retirement planning seminar at the Holiday Inn Chester South to hear from Wesleyan Financial Services Consultants and our award-winning Investment Team. 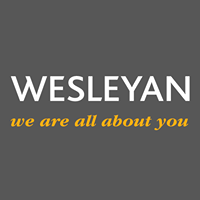 Wesleyan's Financial Services Consultants work exclusively with medical professionals, and are specially trained to understand their profession, pay, and benefits. Tea and coffee will be provided before the start of this seminar, with a complimentary buffet and short networking window also taking place between presentations. If you’re unable to attend, or would like to book a one-to-one meeting with a Financial Consultant at a time and place that suits you, please contact us via our website or call 0808 273 4480 quoting campaign code 1001508.